Creating floral art using products and methods gentle to the environment. Our cutting garden has over 50 types of flowers including and if we don't grow it, we favor local farmers or growers with a strong environmental ethos. Locally grown means limited pollution created from plane and truck transport. Organic Gardening: We have 3 composters to break down floral and kitchen bi-products and use organic amendments to feed garden soil. Forage: Greens, berries, sea shells, moss, pine cones, etc . . .
1. Floral Foam is a non-biodegradable plastic containing carcinogenic formaldehyde and carbon black. We use wood, wire and biodegradable materials. 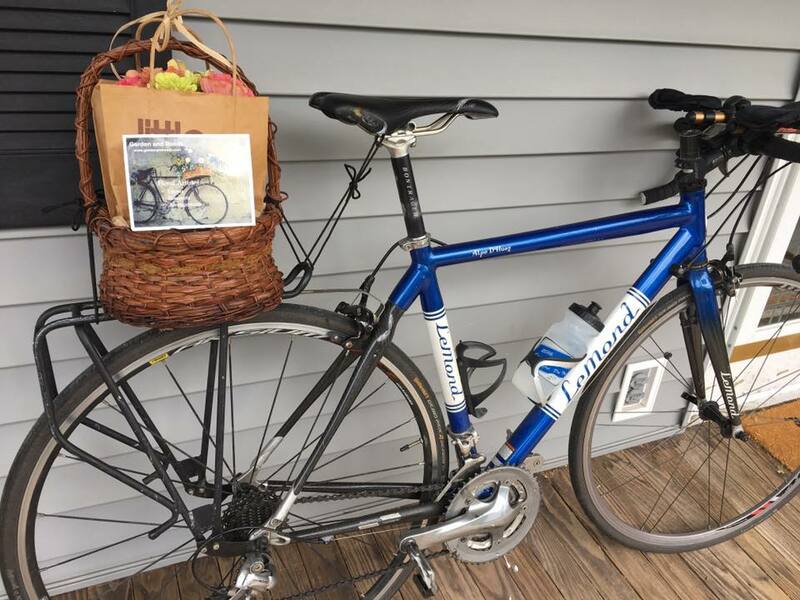 Bicycle delivery when possible - it is New England and winters and roads are tough!.